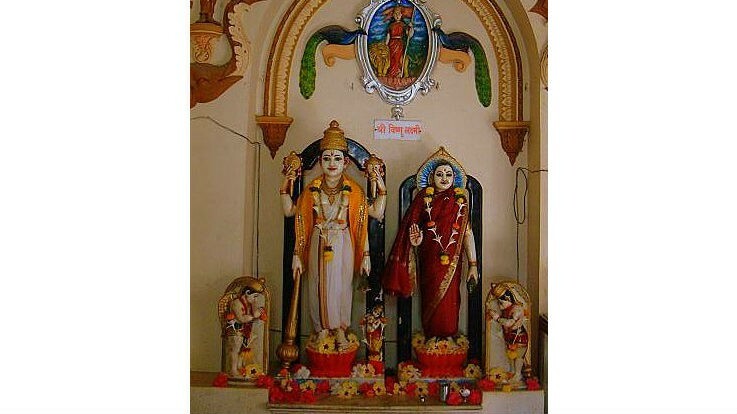 Patit Pawan Mandir is a situated in Ratnagiri district of Maharashtra. The term 'Patit' in Marathi refers to the lowest, humblest man in the society. Pavan refers to purified, enlightened, and fulfilled. The temple took this name to refer the transformation of downtrodden to the pure form and restoring a worshipper's rights. It is a place where the untouchable, or Dalit, can worship their God. The presiding deity of the temple is Lord Lakshmi Narayan. Patit Pavan Temple was built in 1931 by Shriman Bhagojisheth Keer, a businessman from Ratnagiri who belonged to Bhandari Community. Vinayak Damodar Sawarkar devoted a great part of his life in fighting against untouchability. When Shriman Bhagojisheth Keer established the Patit Pavan Mandir in Ratnagiri, Savarkar created a storm in society. It was the first temple in India, which offered an unrestricted right to any member of Hindu Community to enter in the sanctum of the temple and worship the idols of Lord Laxmi Narayana. 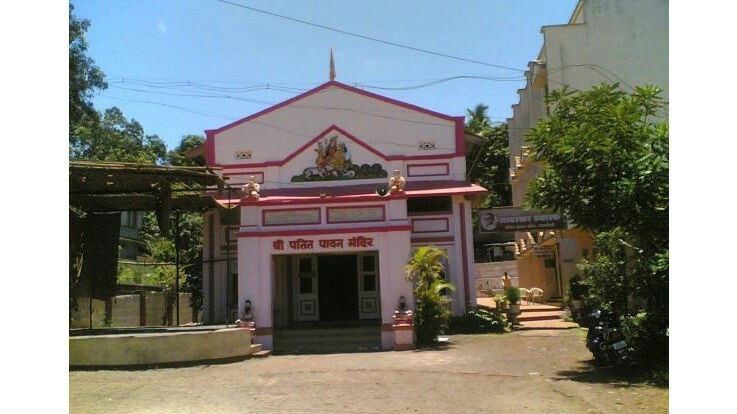 Patit Pavan Mandir was founded by Swatantrya Veer Vinayak Damodar Savarkar, a freedom fighter. He was kept in the Andaman cellular jail over thirteen years for his patriotism. He was released in 1924. However, his release was conditional, and he was confined within the Ratnagiri District. During his stay in Ratnagiri, he fuelled a social revolution, bringing about changes in the society. Savarkar was against the belief of untouchability. He undertook many steps to eradicate untouchability, trying to instill equality of right and status among all Hindus. To combat the untouchability in the Hindu religion, he decided to build a temple for strengthening his social movement. With the help of a businessman, Shriman Bhagoji Sheth Keer, Savarkar managed to erect Patit Pavan temple in 1931. The temple was open to all members of the Hindu community. Devotees belonging to any caste or sub-caste had the right to enter into the sanctum sanctorum and worship the idols of Laxmi and Narayana.  To signify this, Savarkar named the temple ‘Patit Pavan’ or the “purifier of the fallen”. Patit Pavan Mandir is known as the National Pilgrim Centre of Social Equality. Savarkar started celebrating Ganesh festival in Patit Pavan Mandir premises, even as the temple was being built. He renamed the festival “Akhil Hindu Ganeshotsav.” The activity was conducted with a clear view of eradicating the evil of untouchability, to ensure interaction among all classes of the Hindu religion and to rebuild a homogenous Hindu community. For the first seven years, from 1930 to 1937, this activity was carried out by Savakar through processions, fairs, various cultural programs as well as lectures and speeches. By Road: Buses and private vehicles ply between Mumbai and Ratnagiri. By Train: The nearest railway station to Pateshwar is Ratnagiri which is 6 km away from the temple. By Air: The nearest airport is located at Kolhapur Airport (112 km).